Found this restaurant by searching it online. They have one in Phnom Penh too.. I'm not certain if it's good, but I just want the Amok. My first Khmer experience! 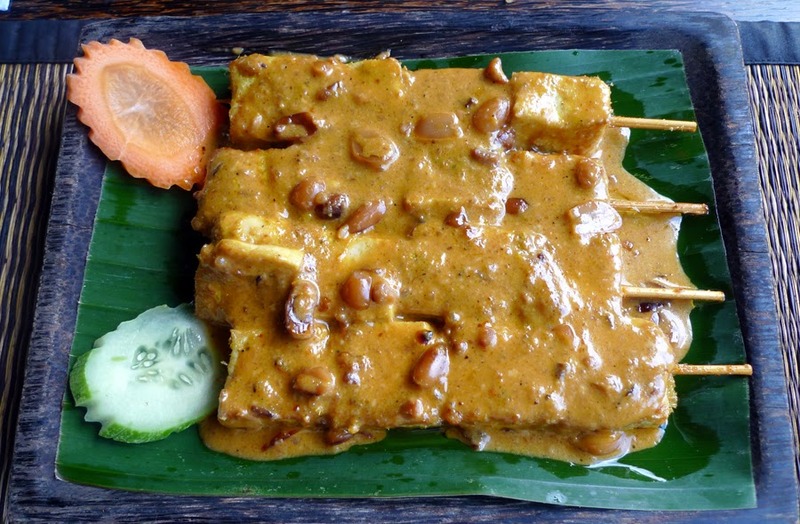 Tofu satay topped with peanut sauce. It's just the yellow tofu you get in Rojak, which I absolutely hated. But it is much nicer with the peanut sauce. Maybe I should just have a whole bowl of peanut sauce instead. Love it! 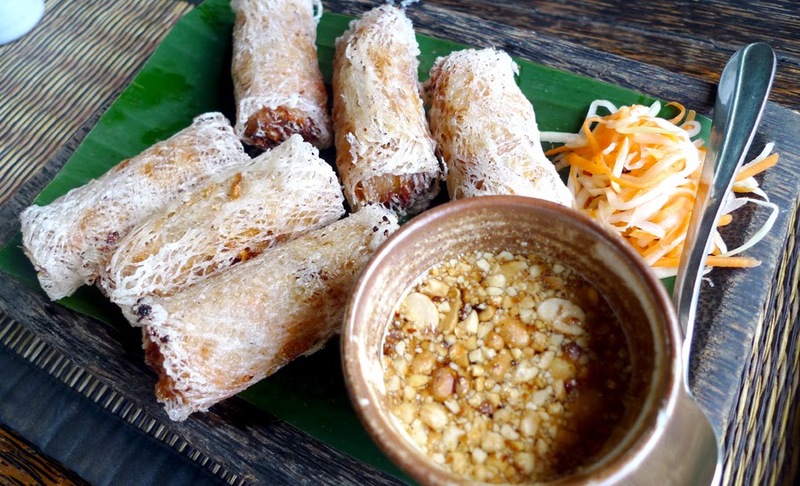 The very, very crispy spring rolls with minced pork, prawn and vegetables. 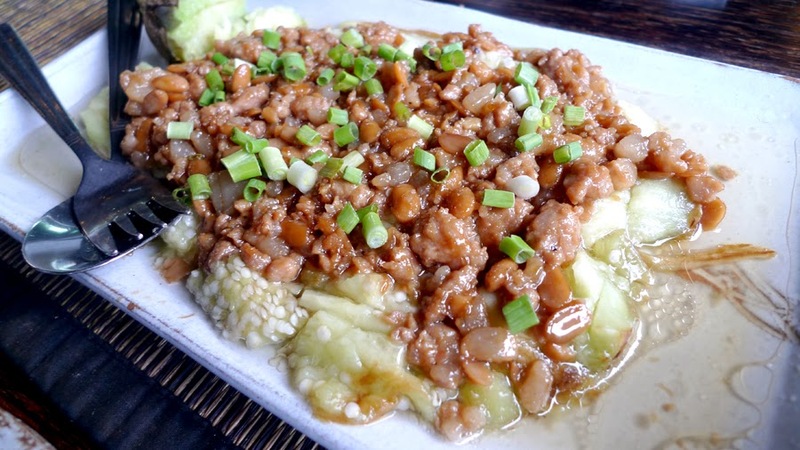 If you love eggplant you'd love this dish! Char-grilled flavoured eggplant with the saltiness from the stir-fry pork and fermented soy beans..
We've ordered the normal Khmer curry and coconut curry. I can't remember which is which, in fact they both look the same to me. 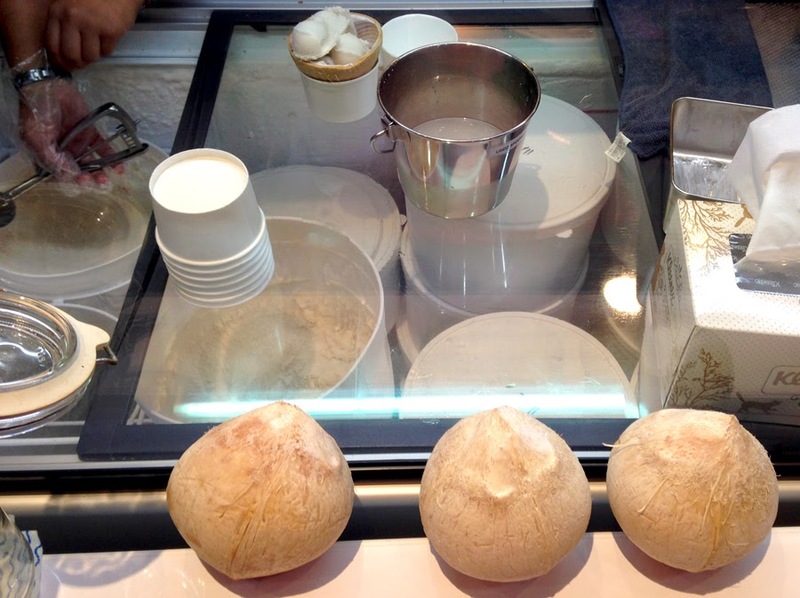 I think I personally prefer the coconut one because it is thicker and has coconut milk. 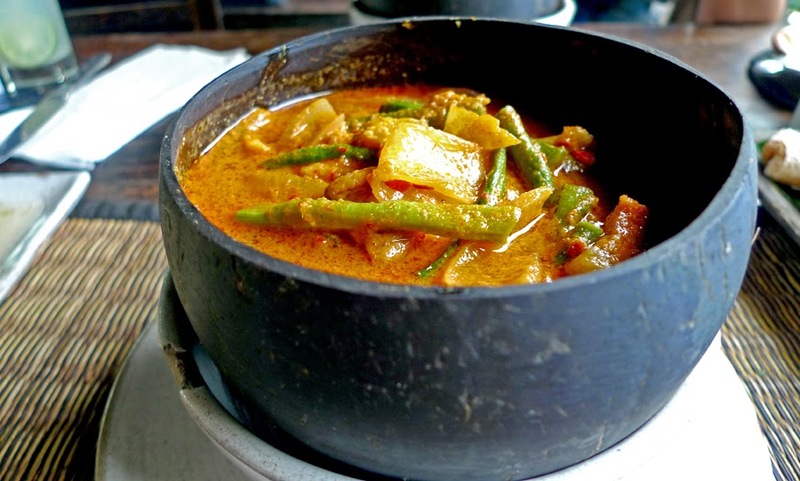 The normal curry is just, curry, much more diluted. It really depends on personal preference for which one to go for. We asked for fish amok but we got the prawn amok Soufflé instead. They got our orders mixed up... Plus we couldn't be bothered to ask for a new one since the prawn itself nailed it! If the prawn is so good I bet the fish is better! I personally prefer fish because the flavours are stronger. This amok is soft and slight watery in the middle It's SO GOOD! It's so soft and fluffy I almost wanted to keep it like that forever! I think everyone in this little town knows about the place. Just mention it to the Tuk Tuk Driver and he/she would drop you at the destination, or else, ask for Taphul Road. 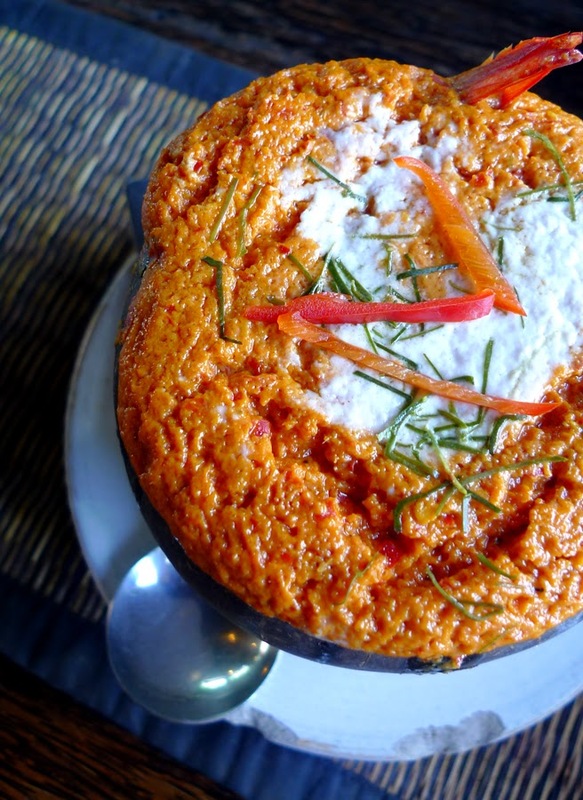 It's a MUST to try if you're in Siem Reap!! Or Phnom Penh! Nuts about coconuts? 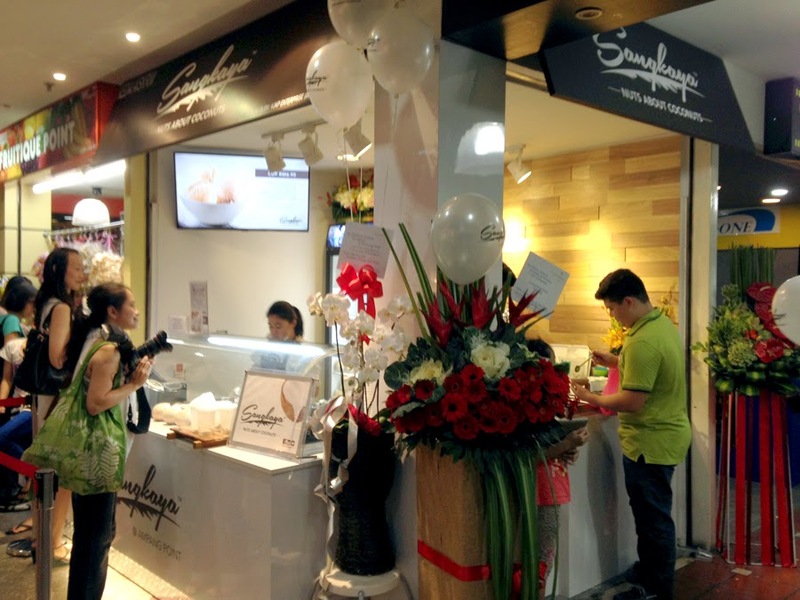 Sangkaya is now available at Ampang Point...! It is a very small booth - a grab and go concept. 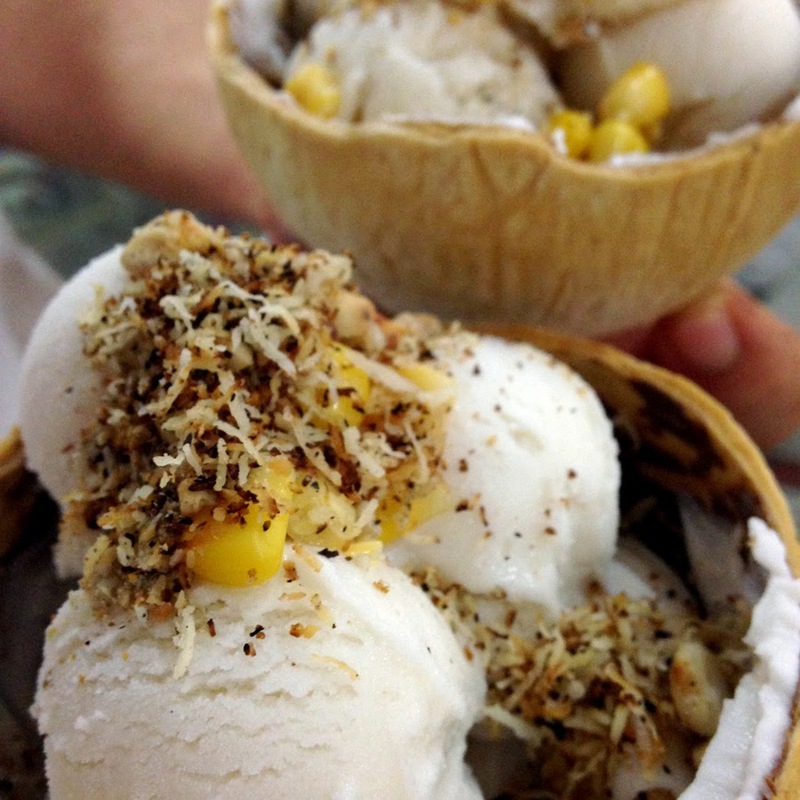 It costs RM9.90 for the signature coconut ice cream. Yes it comes with the husk. 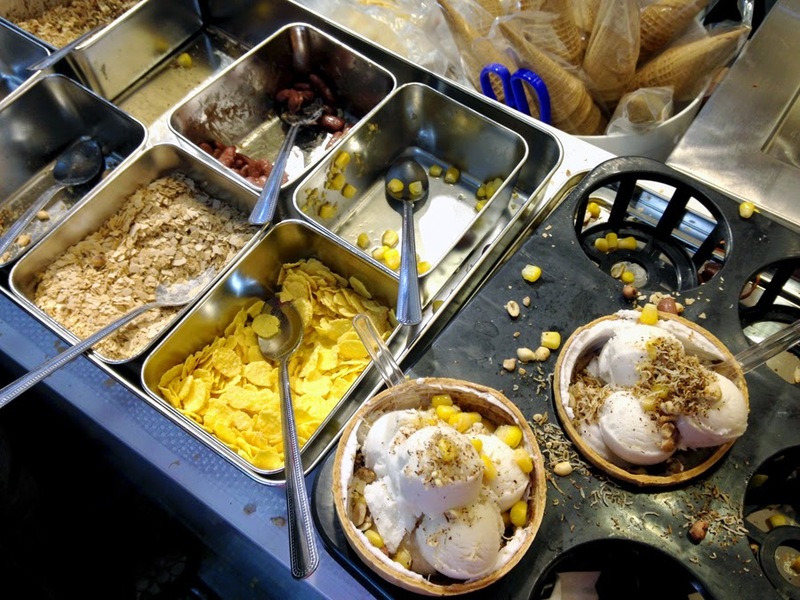 It's basically the typical Thai style coconut ice cream where you can add your own condiments. Corn, cornflakes, roasted nuts, coconut strips.. Or have it plain. You know, the ones you get in Chatuchak Market in Bangkok. 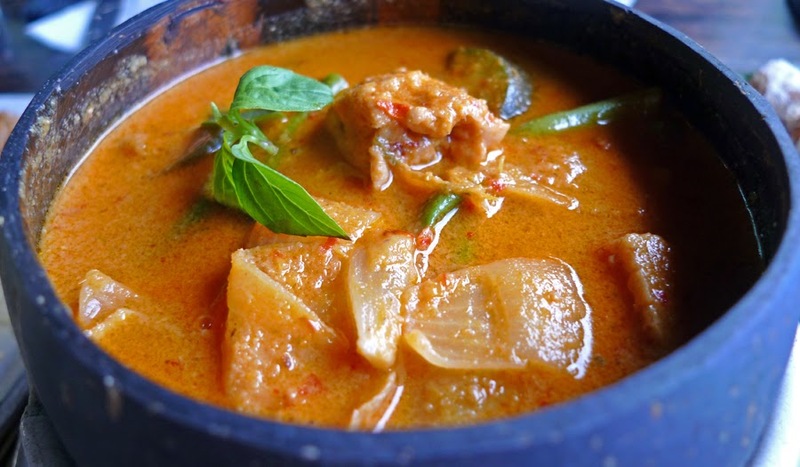 It's so delish, the coconut fragrant... The texture of the cream.. It's not really creamy, something like gelato but stronger in flavours. Rest assured one is definitely not enough! So, no need to go all the way to Chatuchak Market for it anymore! 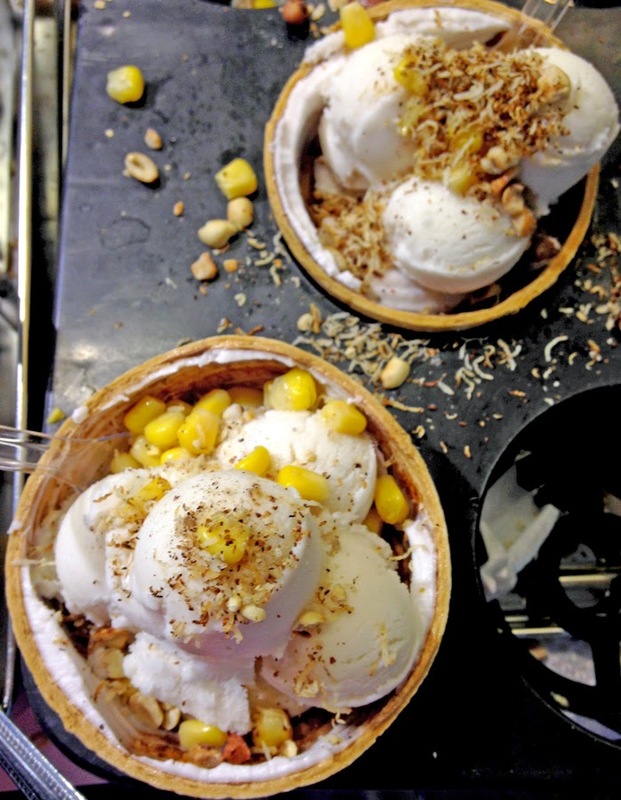 Sangkaya is here to satisfy your Thai ice cream cravings! 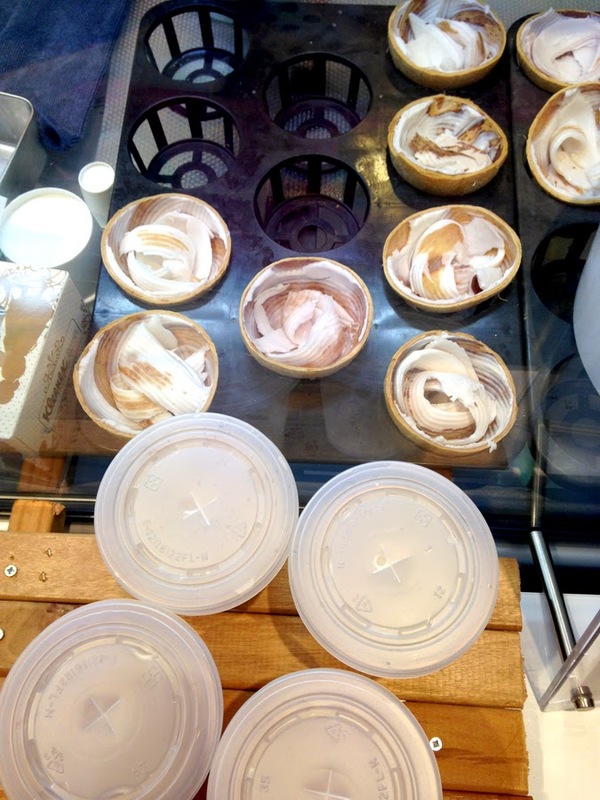 P/S: It's half off today (29 Nov) so pop by for a quick one if you're around the area! It is open from 10am to 10pm so there is still sufficient time to drop by after dinner! 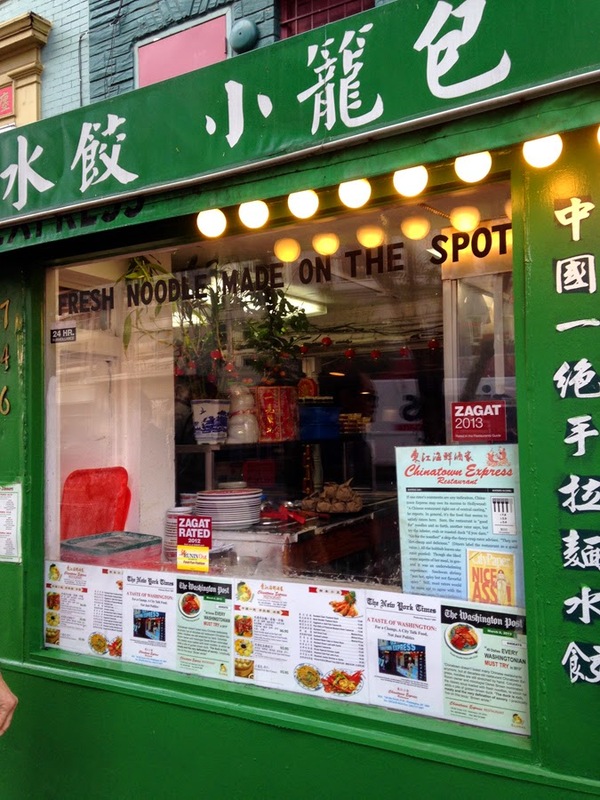 I felt so cheated with their newspaper clippings... And that hugeass title "FRESH NOODLE MADE ON THE SPOT". I'm actually quite skeptical about that. Again, even if it's freshly made ON THE SPOT it does not mean it is up to par! 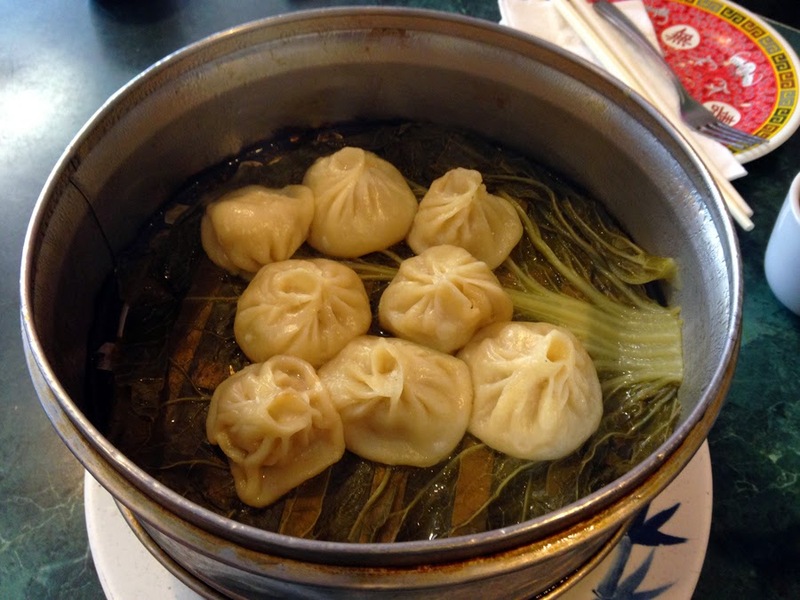 Steamed Pork Dumplings / Xiao Long Bao. One of the worst I've ever had. These ones do not taste like fresh ones, even if it is the quality is just bad, bad, and bad. The skin is SO thick seriously, I didn't know flour is cheap. Even with the thickness, there's no broth in it. What is this... I really can't comprehend. 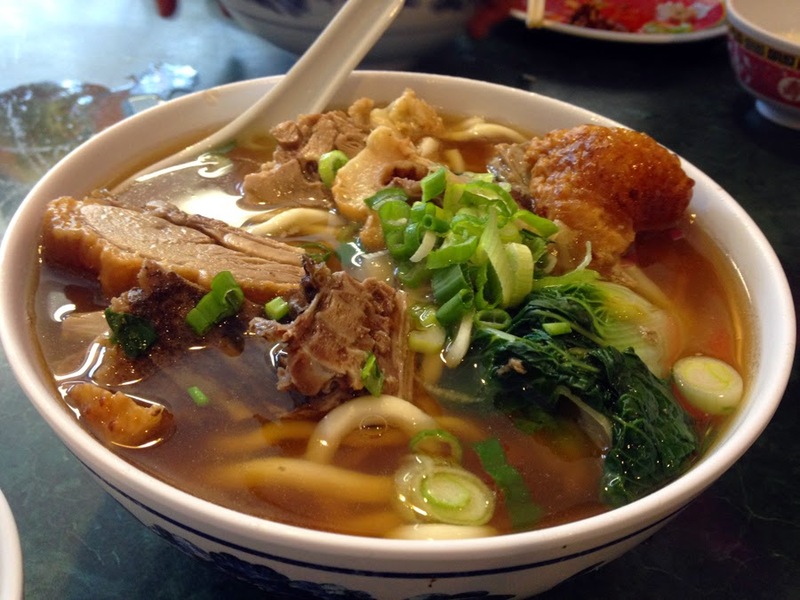 Duck noodle... The so-called fresh noodles. Well perhaps... The broth was just super salty. The duck is just soft and soggy after being soaked in the soup for too long! In my humble opinion, I would rather make myself a cup of instant noodle, buy a few pieces of roasted duck, then add on to it. I just, can't. The quality is absolutely ridiculous I would never recommend anyone to go for it. Like seriously. 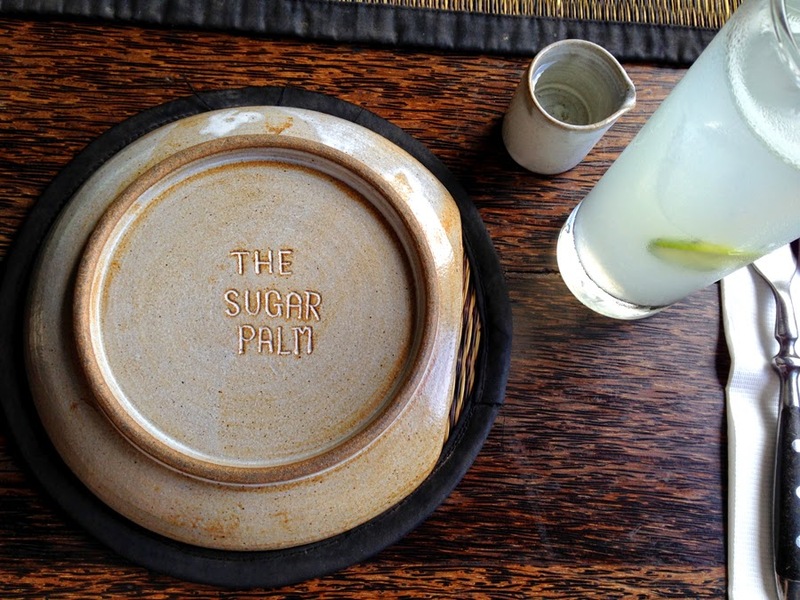 Their signature dishes have failed to amuse, not even up to average quality. This is nothing near authentic!